Raku is an old firing process that originated in Japan. The beautiful colors and changeable metalic finishes bring life to the Raku fish. Each piece is hand made, glazed and fired creating a unique piece of art that catches the feeling of light and irridescence that you find in nature. 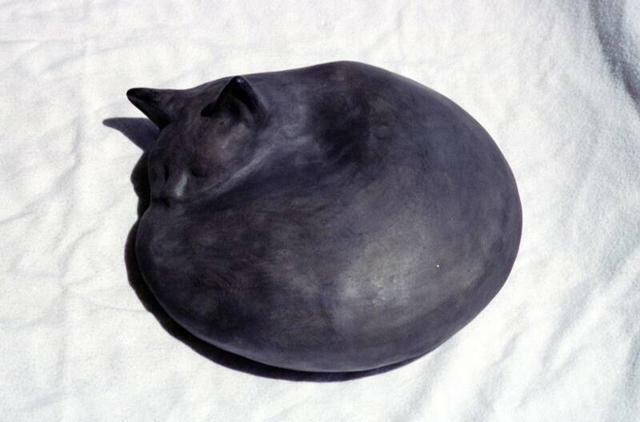 The black kitty is unglazed and smoke fired to keep a velvety burnished tecture. This and other ceramic pieces are available, custom orders are always welcome. Custom pieces in Raku, Crystal and traditional glazes to catch the feel and playfulness of the water. If you are interested in seeing more pictures or purchasing, please e-mail Irene directly at irene@reneesraku.com. Pottery classes are available in the Edgewood, Sandia Park, Cedar Crest and East Mountain areas.